One of my favorite mystery/suspense authors has done it again! Dangerous Illusions is the start to a new series: Code of Honor. And this novel has suspense galore. It also has a capable hero and the requisite damsel in distress. 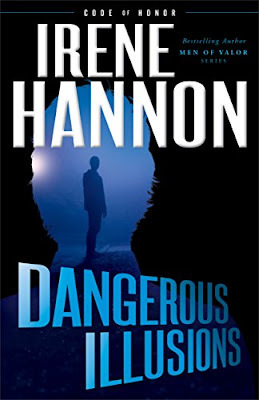 But with Irene Hannon— even if you take a good guess at what is going to happen—she doesn’t skimp on the thorough details to make this one a terrific read! One reason I like Irene’s stories is that they take place in St. Louis, where I spent many years. She peppers her settings with places I used to frequent. This story had some fresh elements to it including dropping in the Russian Mafia! Trish Bailey is a very likeable art teacher in the inner city. But she also has a trust fund and has inherited her parent’s house in an upscale suburb of St.Louis. She has had her share of tragedy but is methodical and resolute and has a strong faith in Christ. Colin Flynn is a detective and has caught the case involving the apparent accidental death of Trish’s mother. Can Trish and Colin get to the bottom of some unsettling circumstances ? What other things will they uncover? Can they embark on a new romance and will Trish pass the scrutiny of Colin’s two lifelong friends? If you want a thrill ride pick up this book! Irene Hannon never disappoints! Detective Colin Flynn isn't certain what to think of the facts he uncovers during his investigation. Did Trish simply make a terrible mistake or is there more to the case than meets the eye? As he searches for answers, disturbing information begins to emerge--and if the forces at work are as evil as he suspects, the situation isn't just dangerous . . . it's deadly. Bestselling and award-winning author Irene Hannon captures readers with a mind-bending story that will have them doubling back to retrace their steps--and figure out what they missed! What a fantastic review, Paula. I've heard of Irene Hannon but never picked up one of her books. Guess what I'm off to do! LOL. Sounds like a great read. 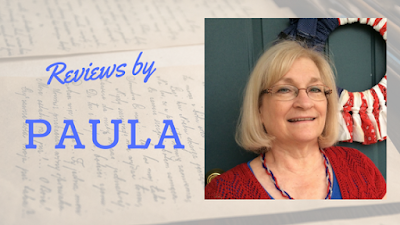 Thank you so much for the wonderful review, Paula. I'm glad you enjoyed this one!